As you find yourself spending more time outdoors this summer, Tennessee’s electric cooperatives remind you to exercise caution near electrical equipment maintained by the co-op. Substations and power lines carry extremely high voltages, and if contact is accidentally made, the results can be dangerous––or even deadly. Never climb trees near power lines. If you make contact with a tree that is touching a power line, your body could become the path of electricity from the line to the ground. If you encounter an animal trapped in a tree near power lines or inside a substation, do not attempt to remove it––no matter how furry and cute! Call your local co-op for assistance. These days, we are seeing more remote-controlled toys, like drones and airplanes, which can be a great way to have fun outdoors. But these gadgets also bring new safety concerns. 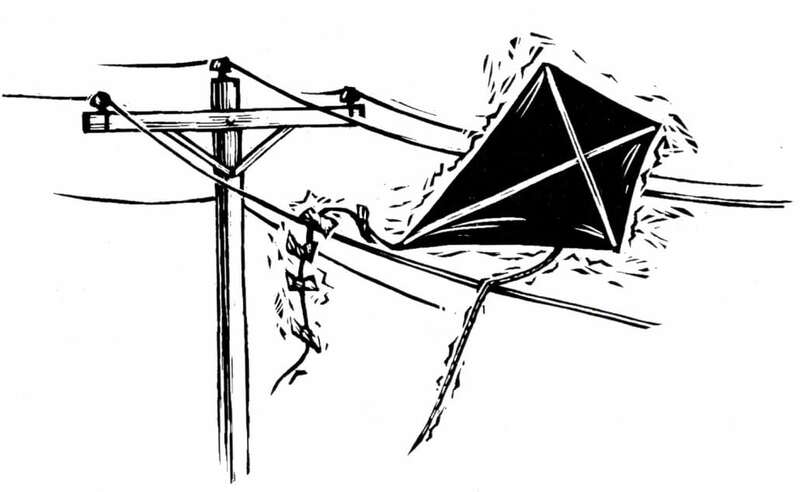 Remote-controlled toys should never be flown near power lines, substations or other electrical equipment. Keep a safe distance from electrical equipment when you fly. If contact is accidentally made with a power line or a transformer inside a substation, many members of your community could be left without electricity. Keep the remote-controlled toy in sight at all times. Avoid flying if weather conditions are unfavorable. High winds could cause you to lose control of the remote-controlled toy. Your safety is important to your co-op. We hope you will share the message of electrical safety so that you and others can enjoy plenty of summer days filled with fun! Visit everydaysafe.org for more electrical safety tips.